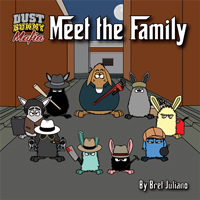 Meet the Family, the first official Dust Bunny Mafia printed collection is now up for sale on Amazon.com! In the quiet city of Fairview, in the shadows between the glows of the streetlights, lives an infestation of career criminals and their respective mobster families. 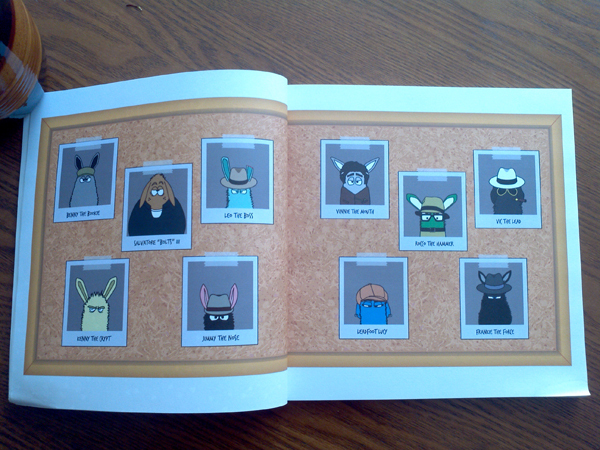 The Dust Bunny Mafia Comic details the inner workings of this lovable but dangerous dust bunny crew. 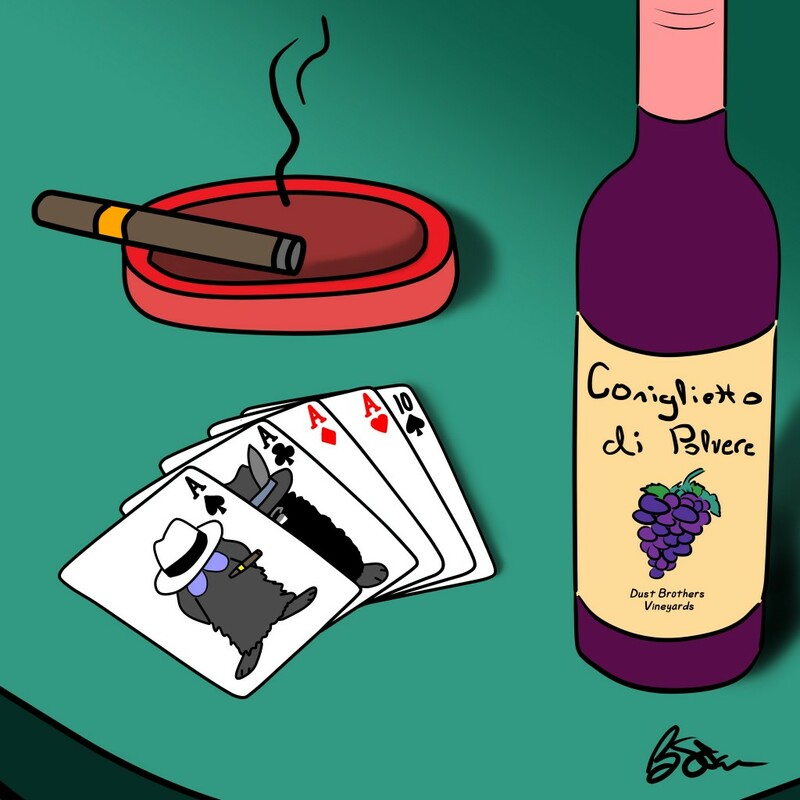 Mafia Don, Leo, established the Dust Bunny Mafia as he worked his way to the top of the family. Once in power, he quickly formed a vast and tangled web of secrets, crimes, allies, and enemies. 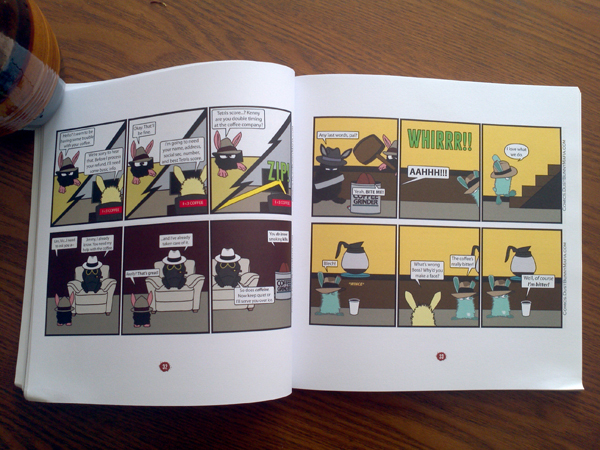 The information contained in this comic is true, and was obtained via covert interviews. Names and locations have been changed to protect the innocent…or the guilty. 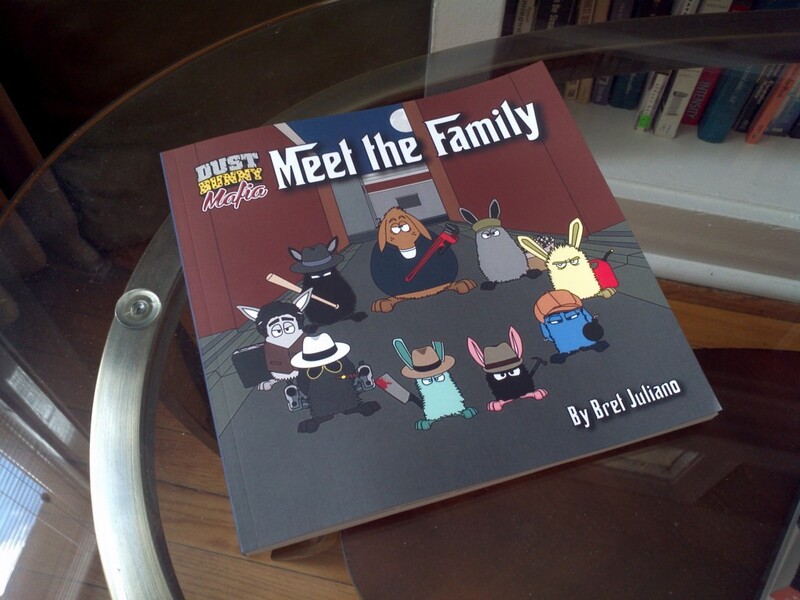 This introductory volume collects the first two years of the Dust Bunny Mafia comic strip, along with tons of exclusive content that you won’t find anywhere…including online! 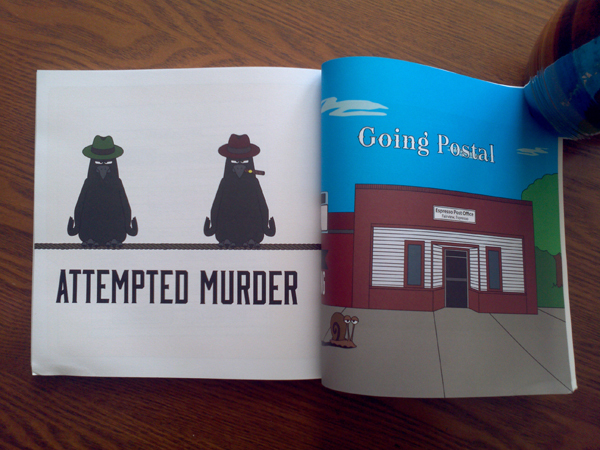 This book comes in at 132, full color pages, longer than your typical Calvin and Hobbes or Dilbert style comic collection. As this was my first foray into the printed world of comic collections, I pulled out all the stops and called in a few favors to get the best connections I had to pitch into the collection. In addition to the roughly 250 strips included in this collection, Meet the Family has a foreword by Heather Antos, Editor on STAR WARS and DEADPOOL lines at Marvel Comics; a pull-quote from Nick Seluk, Creator of the wildly successful webcomic the Awkward Yeti; and guest art from these great webcomic creators: James Stowe, Sidekick Quests; Joshua Hauke, Tales of the Brothers 3; Ben Starzec, Dogs, Ducks and Aliens; Brad Perri, Pirate Mike; and Jim Kersey, The Amok Bros.
Last, but not least, I’ve also put together a brand new mini story arc featuring everyone’s favorite Bookie, Benny, which helps set up the Sugar Ban storyline. This mini arc will not be published online, but gives a better introduction into this story, and gives you a hint towards the future of the DBM. Pick up your copy of Meet the Family on Amazon.com today or we’ll send Frankie after you!